This week, we remember two Army Air Corps brothers killed in action during WWII are very happy to welcome a brother home from Afghanistan, and honored to announce that tomorrow one of our own will be awarded the Navy and Marine Corps Medal for non-combat heroism. In total, this week, we celebrate 15 brothers, representing 13 chapters, serving in the Army, Navy, Air Force and National Guard in places like Afghanistan, Egypt, France, Japan, Korea, the South Pacific and the U.S.
NH Alpha Brother Private First Class Charles E. Tayntor, Jr., U.S. Army was a member of the Medical Corps, Base Hospital Unit 83, American Expeditionary Force when he was called in to the service on this date. This is the enlistment date of OR Alpha Brother Jack Liljeberg in the U.S. Navy, and MA Delta Brother Kenneth G. Merriam in the U.S. Army. This marks the date the only SigEp Patriot of the Iowa Alpha Chapter was killed in action in WWII. World War II Veteran and IA Alpha Brother Second Lieutenant Sumner Luten Beck, U.S. Army Air Corps made the ultimate sacrifice while serving as a navigator about a B17F (Fighting Fortress) nicknamed “Taxpayer’s Pride” during a night mission over Rabaul, New Britain. Brother Beck and his crewmates were shot down by a J1N1 (Irving) and crashed into the jungle near Mount Varzin. The Class of 1938 graduate from Iowa Wesleyan College had nearly completed his training as an Air Corps navigator when he was commission in MAY 1943. Just weeks later, Sumner arrived in the SW Pacific Theater, and he would be killed in less than a month. Very early on 26 JUN 1943, before the sun was above the horizon, Sumner and his comrades took off in the B-17 from Dobodura Airfield on a bombing mission against Vunakanau Airfield near Rabaul. Strict radio silence was maintained during the mission. Nothing was heard from this bomber after takeoff. Upon reaching their objective, they successfully bombed the target then turned for home. 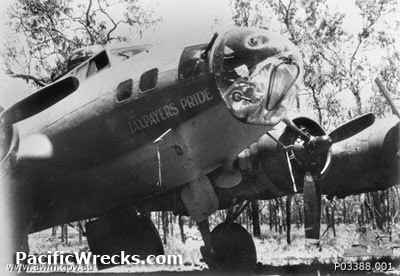 According to an account from the Japanese pilot who shot the plane down, within minutes of their bombing run, Sumner and the crew were taking 20mm cannon fire from the Irving, and the B-17 caught on fire before crashing in to the jungle. Starting at 0230 hours, other U.S. aircraft over the target reported an aircraft had crashed, and that a fire could be seen on the ground in the vicinity of the down airplane. When the bomber failed to return, the crew were declared missing in action. The War Department declared them “presumed lost” in JAN 1946. In actuality, the tail gunner managed to parachute out and away from the falling debris. He served in a Japanese Army POW camp the remainder of the war. Post war, the crew's remains were recovered at the crash site near Mount Varzin. However, Brother Beck’s body was not among them. Several years later, his remains were recovered, and returned to the States. Respect can be paid to Brother Beck at Fairview Cemetery in Lee County, IA. PA Epsilon Brother Arthur White joined the U.S. Navy Reserve as an Ensign on this date. 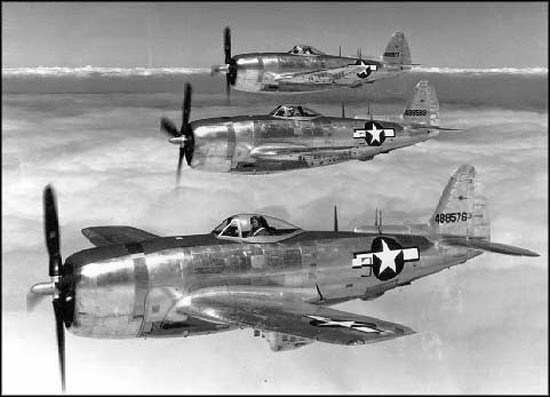 World War II Veteran and OH Gamma Brother Second Lieutenant George C. Slusser, U.S. Army Air Corps made the ultimate sacrifice when the P-47 (Thunderbolt) fighter he was piloting during a mission over the Ryukyu Islands was brought down by flak. George was attached to the 19th Fighter Squadron, 318th Fighter Group. At The Ohio State, Brother Slusser was a graduate of the Class of ’44, and a star on the Buckeye football team. In the 1946 NFL Draft, Brother Slosser was 288th pick and selected by the Philadelphia Eagles. Initially listed as missing in action, George is memorialized on the Courts of the Missing Court 7, Honolulu Memorial, National Memorial Cemetery of the Pacific, Honolulu, HI. Respect can be paid to Brother Slusser at Section 5, Row 16, Brookfield Cemetery, Massillon, OH. World War II Veteran and PA Epsilon Brother Captain Arthur Palmer, U.S. Army Transportation Corps was released from the service on this date after nearly three years of service, including 28 months overseas. On this date, U.S. Army WWI Veteran, Speaker of the North Carolina House of Representatives, and U.S. Senator (North Carolina) NC Gamma Brother Willis Smith died at Bethesda Naval Hospital in Maryland while serving in the U.S. Congress. All that is currently known about Brother Smith’s military service is that he served in the Army in Virginia during WWI. Willis pledged SigEp at Trinity College (now Duke University). After graduating in 1910, he attended law school, and was admitted to the bar in 1912. After WWI, Brother Smith returned to practicing law. In 1927, he was elected to the North Carolina State House of Representatives, and he served there until 1932 – the last two years as Speaker. Twice he was a delegate to the Democratic National Convention. At the Nuremburg Trials in 1946 he was an observer, and after serving as a U.S. delegate to the Inter-Parliamentary Union (1951) he was selected as the chairman of the American delegation to the Union’s meeting in Bern, Switzerland in 1952. 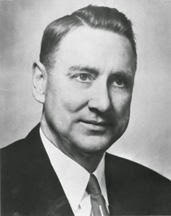 Simultaneously, Willis was serving in the U.S. Congress. In 1950, he was elected to fill a vacancy, and he served until his death. Respect can be paid to Brother Smith at Oakwood Cemetery, Raleigh, NC. 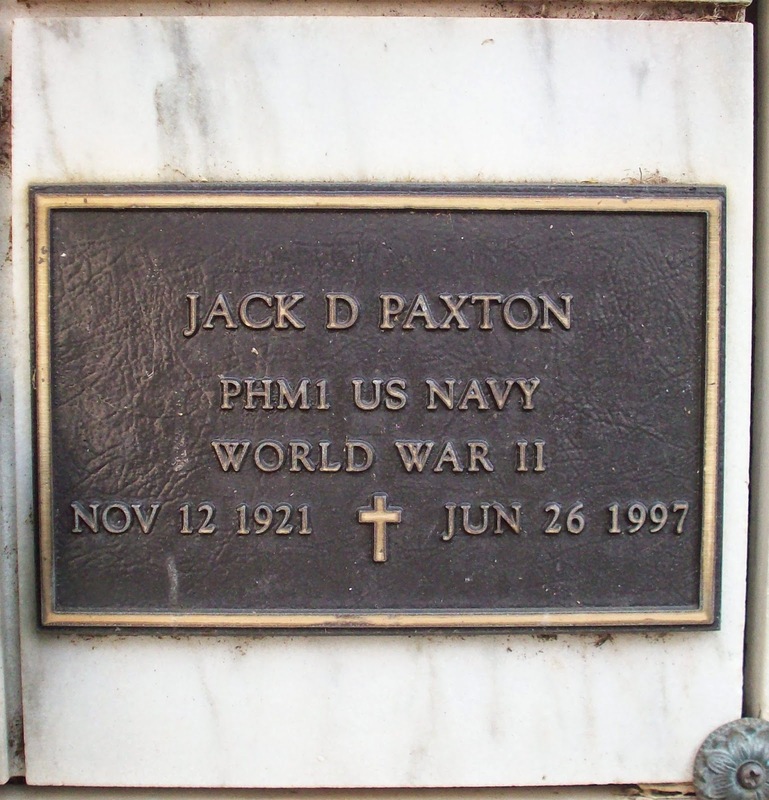 World War II Veteran and CO Beta Brother Pharmacist Mate First Class Jack D. Paxton, U.S. Navy died on this date in Tulsa, Oklahoma, and so far that is all we have been able to learn about his military service. After earning a Master Degree of Psychology he worked as a psychologist for Tulsa Child Guidance and the Peoria Board of Education, Peoria, IL before serving as Director of Special Education for Tulsa Public Schools from 1953 to 1973. For the next 14 years, Brother Paxton was a Professor of Psychology at Northwestern State University in Alva, OK.
His honors and distinctions include: Psi Chi President and Past President, Tulsa Special Education Association. Other activities included serving as a board member of Tulsa Child Guidance Clinic and Family and Children’s Service. In 1993, he retired from the Tulsa Public Schools. Respect can be paid to Brother Paxton at Section CT4-M, Row 100, Site 129 at the National Memorial Cemetery of the Pacific in Honolulu. A 5th generation Richmonder, VA Alpha Brother Major Doctor William F. Bryce V, U.S. Air Force, 63, died on this date in Richmond, Virginia. During his military service – which appears to have been between 1972 and 1975, Brother Bryce served as a doctor at Homestead Air Force Base. At the University of Richmond, William double-majored in chemistry and mathematics. In 1970, he received his medical degree from the Medical College of Virginia. He served an internship and residency at Roanoke Memorial Hospital from 1970 to 1972 before serving in the U.S. Air Force. In 1975, Brother Bryce returned to Richmond to begin his family practice. He partially retired in 2002 and began a house call practice and worked small, contract medical services for the federal government until 2004. Dr. Bryce was a member of the Richmond Academy of Medicine, Medical Society of Virginia, American Medical Association, and the Manchester Medical Society, of which he served as president. Respect can be paid to Brother Bryce at Maury Cemetery, Richmond, VA.
Korean War Veteran and UT Alpha Brother Second Lieutenant Robert R. Evans, U.S. Air Force died on this date. Bob enlisted in the National Guard (Army), serving two years in the Korean War as an airplane navigator. Upon his return from the war, he brought his leadership back to UT Alpha, participated in AFROTC, completed his Bachelors of Science in Journalism in 1956, and was commissioned a Second Lieutenant, U.S. Air Force at graduation. At Utah State University, Brother Evans led the USU student newspaper as editor, and was an officer in the UT Alpha chapter. He later resigned his Air Force commission, and began work as a reporter for the Logan Herald Journal, then the Salt Lake Tribune, covering northern Utah, while pursuing an MS in Sociology. A few years later, as a SigEp advisor, Bob led the building campaign to construct a new UT Alpha chapter house. A PhD from University of Wisconsin soon followed, where his post-doctoral work and publications on smoking, health and behavior were some of the first which linked smoking and negative health outcomes. Relocating to Tucson, he was a sociology faculty member at the University of Arizona, focusing on group dynamics and sociology of sexuality. U.S. Army Air Corps World War II Veteran and WI Beta Brother John P. Griesbach, 85, died on this date of congestive heart failure at St. David's Healthcare in Round Rock, Texas. He briefly attended University of Wisconsin (UW) before being drafted in to service during WWII. His basic Air Corps training was in Biloxi, MS, and he was sent from there to Osaka, Japan. After he was released from the service, John returned to UW to pursue a degree in Petroleum Geology. After working for Seaboard Oil Company in Ardmore, OK, he moved back to Corpus Christi, TX in 1960, and formed his own company, Delta American. He was an active geologist until retiring in 1998. * 19 JUN - U.S. Army Air Corps World War II Veteran and OH Gamma Brother Robert K. Johnson, Jr., 91, passed away in Cincinnati, Ohio. He went to Ohio State until the U.S. entered WWII, and then went to work building Wright engines for the war effort, before enlisting in the Army Air Corps where he served from 1942-45. He was stationed in Egypt in 1944. Our thoughts and prayers go out to the family, friends and chapter brothers of Brother Johnson. SPP pledges it will never forget you or your service to the nation. ** Early on 23 JUN, Operation Enduring Freedom Veteran and fellow NY Eta Brother Staff Sergeant Nathan Ibero, U.S. Army posted on Facebook that he was finally back in the USA after his long deployment to Afghanistan. Welcome home and thank you for your service! ** At 1130 tomorrow, in Building 33 of the Washington Navy Yard in Washington, DC, the Navy and Marine Corps Medal – the second highest non-combat decoration awarded for heroism by the U.S. Navy & U.S. Marine Corps – will be presented to four-time Operation Enduring Freedom Veteran and MT Alpha Brother Petty Officer Second Class James T. Yancy, U.S. Navy. Last April, Brother Yancy, at the risk of his own life, dove in to the water and saved a member of the American diplomatic community from drowning while at a private beach off the coast of Lagos, Nigeria. Congratulations J.T.! There are many brothers serving in uniform around the world accomplishing great things, and we look forward to hearing from military and non-military brothers who are interested in sharing and celebrating those items. * As of today, we know about 4,592 brothers who currently serve or previously served in the U.S. military. Among these brothers are four-star generals & admirals, computer scientists, congressman, governors. Over the past year, we have learned about an additional 19 brothers who made the ultimate sacrifice for this country when they were killed in action. * This week, we welcomed Two-time Operation Iraqi Freedom Veteran and OH Rho Brother Major Brian Murray, U.S. Army & FL Epsilon Brother Lieutenant Michael Sanchez, U.S. Navy to SPP and our official Facebook group – SigEps Who Serve (SWS), the only FB group comprised solely of SigEp Patriots. In the past year, SWS has grown by nearly 20% and now 715 strong! You can find SWS at www.facebook.com/groups/sigepswhoserve. Not on Facebook? Just send an email to sigepswhoserve@gmail.com to be connected with other military brothers. 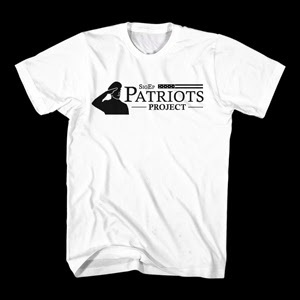 * SPP T-shirts can still be purchased for $12 at https://www.interstated.com/store/sigepic. Just scroll down to near the bottom of the page. SPP would like to thank the numerous chapter officers, brothers, friends and Headquarters personnel who have helped keep this noble effort successfully moving forward for another year. Please keep passing the word and helping SPP find, support, connect, honor, recognize and remember brothers who have given so much to the nation.